When it comes to teaching a new medium, finding artists to share with your students can be a daunting task. This is especially true when it comes to mediums like fiber arts that aren’t highly represented in art history textbooks. Even if you enjoy the process of searching through Pinterest, Instagram, and your school library for relevant and inspiring artists, it can be a time-consuming and sometimes overwhelming task. Here are 10 fiber artists to introduce to your students this year. Vanessa Barragao creates rugs, wall hangings, and tapestries. By using large amounts of water and toxic dyes, the textile industry can wreak havoc on the environment. In response, Barragao sources materials for her work by collecting and using waste yarn. Exploring Vanessa’s work with your students is a great way to discuss a wide range of textile techniques like crochet, felting, and tufting. 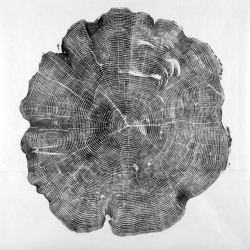 Make connections to science and the environment by examining the impact of materials artists use. View her Instagram stories to better understand her process. 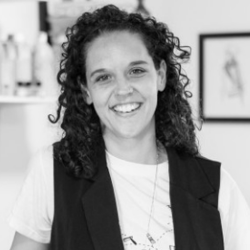 Agata is the artist behind Twill Hill. She weaves on a floor loom using a variety of techniques to create pattern and texture. She creates functional pieces with her woven fabric, like clutches and pillows, while also weaving abstract compositions to hang on the wall. Use her work in the classroom to have a discussion with students about designing functional versus decorative art. 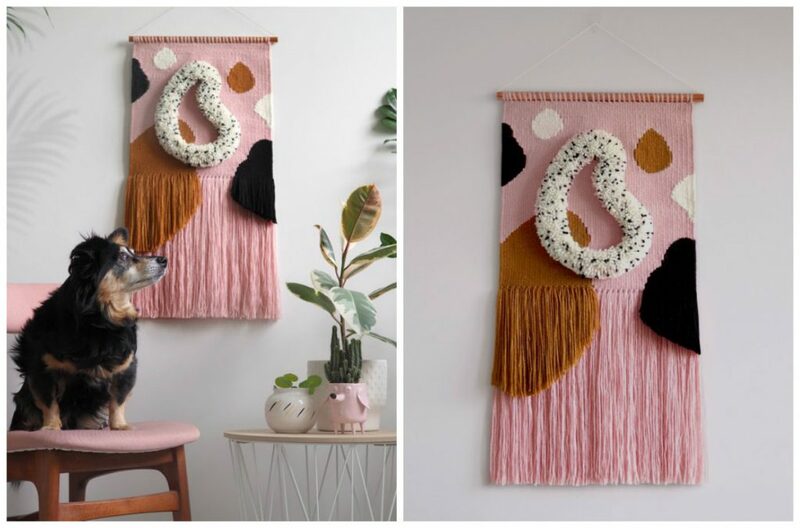 Judit Just creates colorful texture-filled wall hangings that will make you want to reach through your computer and touch them. Make sure to watch her Instagram story titled “trim,” to get a glimpse of her process. Explore the idea of pricing and selling with your students by exploring her Etsy store. You’ll notice her work is all, “made to order,” demonstrating she does recreate pieces. 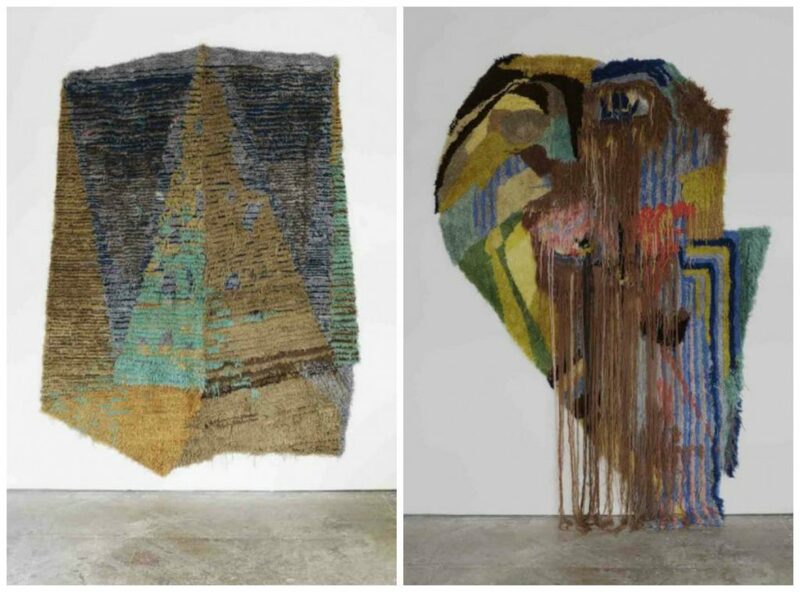 Allyson Rousseau makes wall hangings by combining weaving and hand tufting techniques. She tends to use a soft color palette and shows precision in both her weave and the shapes she creates. 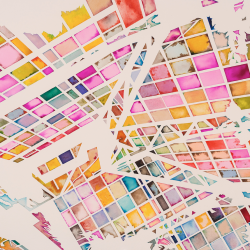 By scrolling through her Instagram feed, you’ll be able to begin to uncover her process. 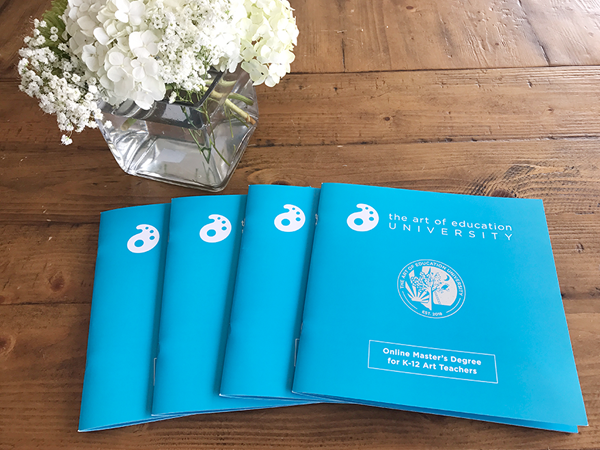 Head over to her website and continue your discussion on selling art with your students. Her website lists a lot of the work she has sold, which is fun for students to see. 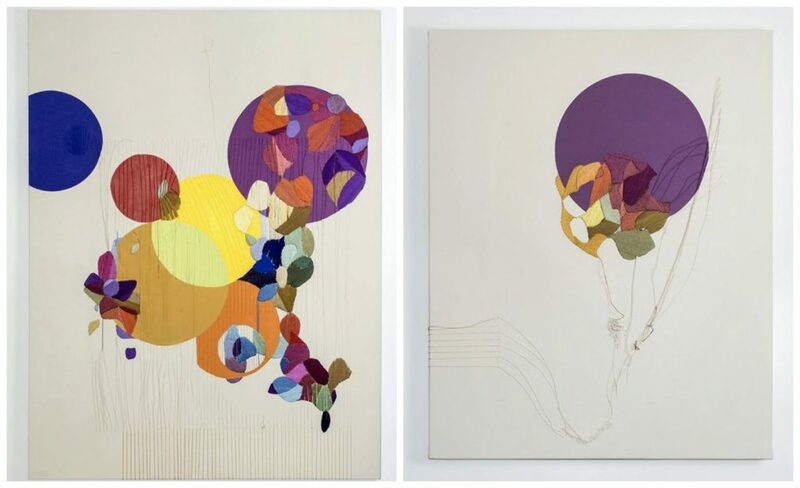 Isabella Despujols draws with thread, stitching abstract works on paper that fool the eye. She also creates abstract mixed-media pieces combining acrylic paint and embroidery. 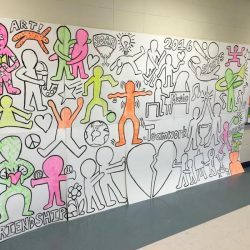 Her work is a great way for students to explore line and color. Born in Venezuela, you’ll discover her website and Instagram feed are mainly written in Spanish, making her a great artist to explore in collaboration with your Spanish Department. 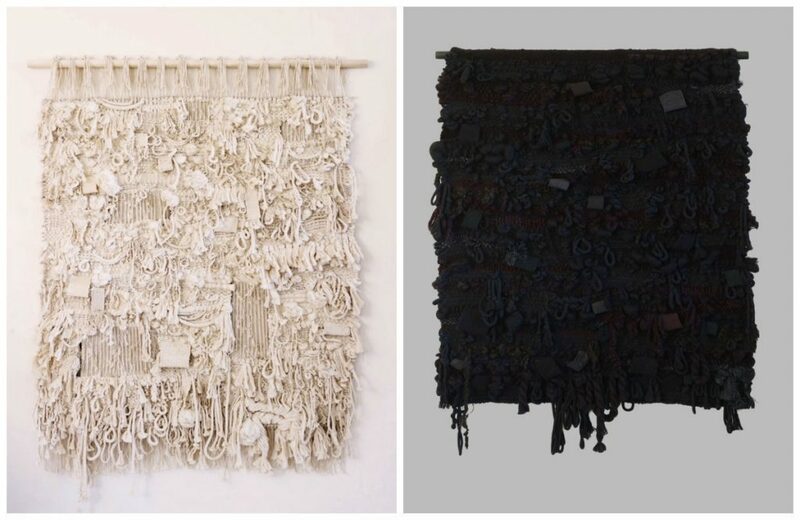 Meghan Bogden Shimek creates large-scale wall hangings and sculptural work from roving. When creating her woven pieces, she works on wooden frame looms. Roving is commonly used when felting but can also create a fun texture in weaving. Look at Meghan’s work and discuss how material choices impact the overall look of a woven piece. Justyna Wolodkiewicz creates 3-D pieces by combining embroidery stitches with polymer clay forms. 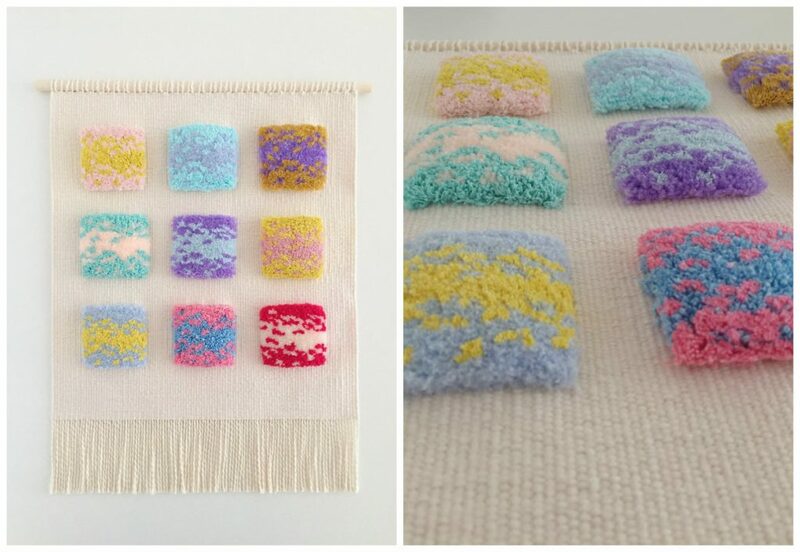 In a lot of her work, she keeps her embroidery stitches simple, creating interest through layering colors and varying the length of each stitch. 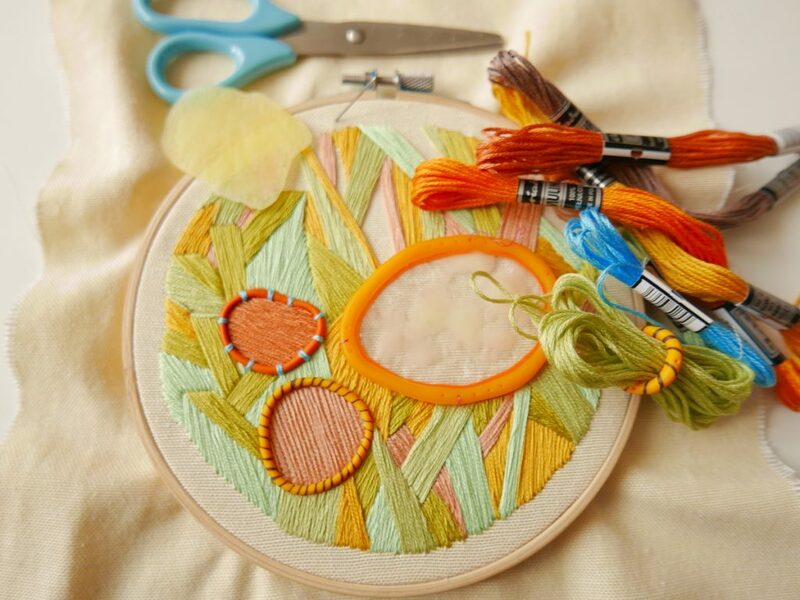 By looking at her work, students can see how she uses embroidery as a medium to draw. Explore her Instagram feed and you’ll see that she also makes jewelry. Toni Brogran makes soft sculptures through weaving and macrame techniques. She also explores a wide variety of materials, challenging what can go into a weaving. Much of her work focuses on a neutral color palette creating contrast through texture. Have students explore her work and think about what non-traditional materials they can use to tell a story through weaving. 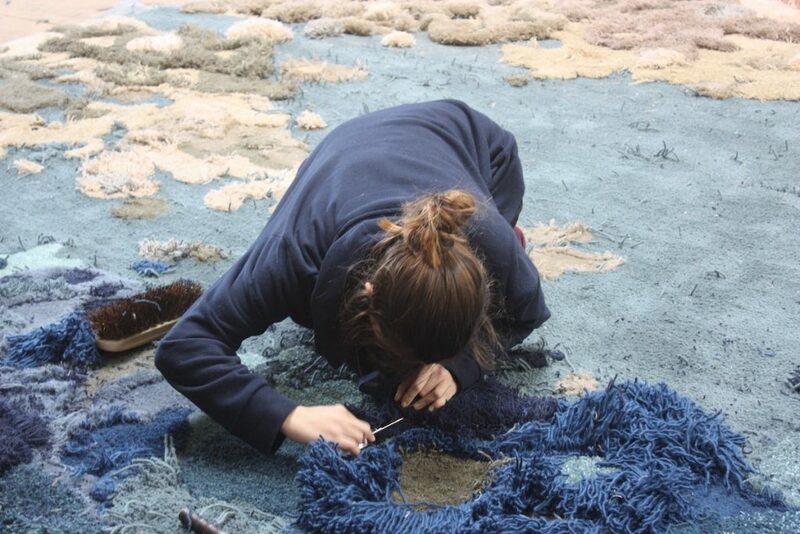 Caroline creates abstract fiber pieces through the process of hand-tufting wool. Her pieces look like soft paintings and are often organic shapes. Students can explore how tufting is used functionally to create rugs, and as an artist, a tool to create works of art. Andrea Donnelly both weaves and creates detailed drawings of weavings. Her weaving, like her drawings, is intricate and detailed. She creates image, text, and pattern one line at a time. 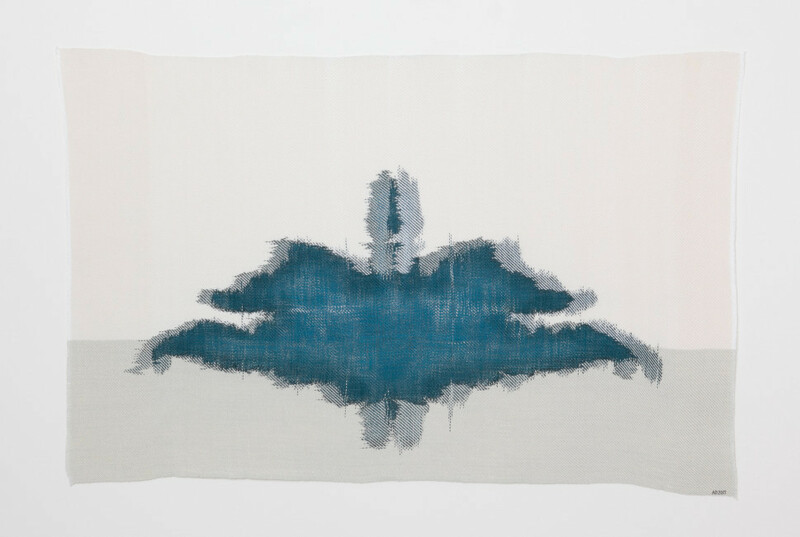 Donnelly creates a pattern in her work through Ikat dying. She also will weave a piece, then unweave it, only to re-weave it into its final form, watching the pattern emerge through the process. Andrea is a great artist to explore as students learn about dying yarn and creating a pattern. 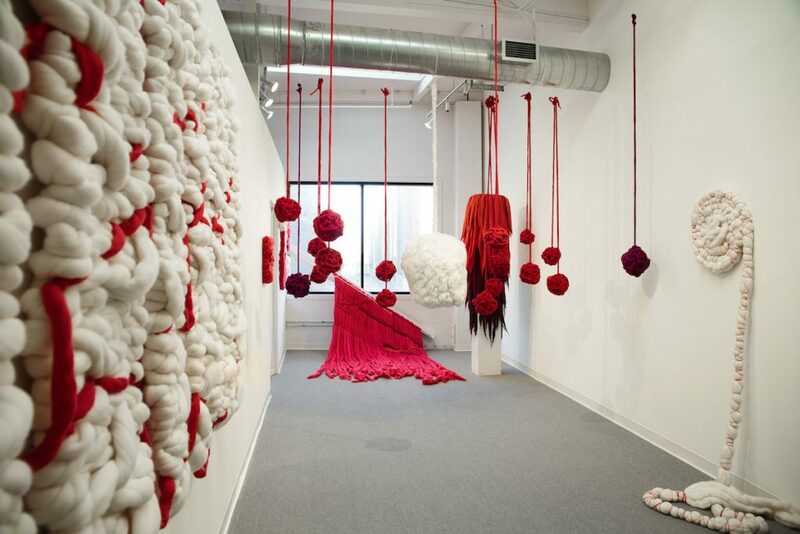 As you think about how to incorporate fiber arts into your curriculum, explore contemporary artists who push the boundaries of what fiber art is and how traditional tools and techniques are used. After viewing the artists above, what is one new thing that you’re inspired to try in your art room? 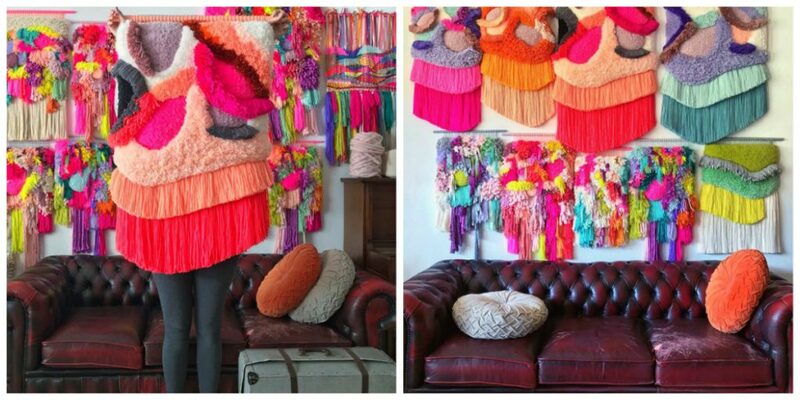 How about an OG artist like Sheila Hicks? This lady is still going strong with installations and exhibitions all over the world!!!! Sheila Hicks is one of my favorites!